Vascular Dementia (VaD) is a degenerative disease related to the blockage in the blood vessels which results in progressive decrease in memory and cognitive function. VaD occurs when the oxygen and nutrients carrying blood supply to the brain is blocked or interrupted by a damaged vascular system. Vascular dementia (VaD) is the third most common brain disorder that generally affects people between the age group of 60-75 years. The incidence of vascular dementia ranges from 1-4% of the total population. The prevalence is seen to be more common in men than women. Research data has shown that vascular dementia is most common type of dementia noted in United States and Europe. Vascular dementia is caused in several ways. Most common cause is a clot or blockage of small blood vessels of arteries that feeds the brain. Lifestyle risk factors like being overweight or obese, and smoking can contribute to vascular dementia. Research data has estimated that about 50 percent of vascular dementia results from high blood pressure. One of the rare causes of vascular dementia is auto immune inflammatory disease of the arteries. The progression of vascular dementia varies among people. Individuals suffering from vascular dementia typically show the symptoms similar to those of Alzheimer’s disease or dementia. Based on the signs and symptoms noted, vascular dementia has been categorized into three different types. The most common type of vascular dementia is a mixed dementia which is generally caused by series of small strokes referred to as mini strokes or as transient ischemic attacks (TIAs). These strokes cause damage to the cortex region of the brain. 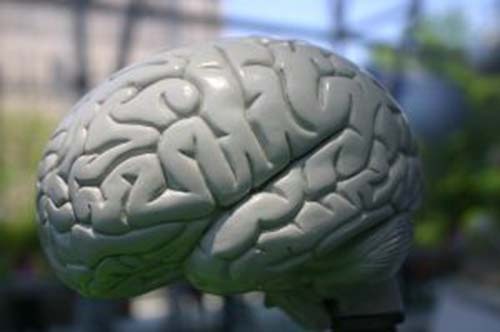 The cortex area is associated with learning, language and memory. The TIAs result in partial blocking of blood supply leading to damage of cognitive functions. The diagnosis of vascular dementia is based on a detailed analysis of the signs and symptoms noted, physical examination, imaging tests and laboratory tests. A history of the features of vascular dementia is often suggestive of the condition. Imaging tests such as MRI, CT and others provide a vital clue about the presence of blocks within the blood vessels of the brain. Additionally a diagnostic method called electroencephalogram (EEG) test which records the activity of the brain by detecting the electrical signals from the brain can also be beneficial. Diagnostic tests to evaluate the functioning of the heart may also be advised. Neurological and psychological tests which helps in the evaluation of memory and a patient's ability to concentrate, communicate and other cognitive functions are conducted. As vascular dementia is related to strokes, the possibility of strokes is controlled by taking measures to regulate the blood pressure, diabetes mellitus, and cholesterol levels and also decrease the possibility of heart disease. No drugs have been approved by Food and drug Administration (FDA) to treat vascular dementia specifically. However, several different groups of drugs are advised to reduce the symptoms of this disorder. Anticoagulants such as warfarin are recommended to reduce the clotting of bloods which in turn reduces the risks of stroke. Medicines to control high blood pressure, stroke, and increased levels of cholesterol are advised to reduce the risk of vascular dementia. Drugs for reducing depression (antidepressants) and drugs to treat anxiety (anxiolytics) are recommended by some physicians. Antipsychotics known to treat severe hallucinations are also used to treat the symptoms of vascular dementia. Mood stabilizers are prescribed by doctors to treat individuals with aggressive and dangerous behavior. Medicines are also prescribed to relieve restlessness or depression. Speech therapy has helped patients understand their language difficulties and learn to communicate. Many occupational speech therapy centers are available to help patients suffering from vascular dementia. In some cases where a major block, such as that in the carotid artery (main blood vessel of the heart) is affecting the blood supply to the brain, surgical removal may be indicated. Recent studies have shown that herbs such as ginkgo biloba reduce severe forms of memory loss and mental function. However, caution must be exercised while using herbal products for treating such disorders and a physician’s consent must be obtained before initiating such therapies. Vascular dementia is a disease that is irreversible. However, the progression of vascular dementia can be slowed down with the use of medications and lifestyle changes. A calm environment, listening to slow music, meditation and physical activity can help in reducing the depression and stress levels. Complications of vascular dementia include auto immune diseases referred to as multiple sclerosis and Huntington’s disease. Stroke related vascular dementia and small vessel disease related vascular dementia can result in immobility or severe paralysis. Death due to rigidity of the body can occur in individuals suffering from vascular dementia in certain severe cases. Consumption of red wine in small amount. Is vascular dementia always followed with high blood pressure?